As well versed in the 'please' and 'thank you' as one can be, there are always certain tricky situations that can confuse even the fanciest of Downton Abbey-watching, highfalutin etiquette aficionados! Eating an artichoke has always been one of those situations for me. I'm not a big fan of the artichoke or of the 'dirty fingers feeling' while I eat so it must be some kind of fate that they happen to pop up a little too often for my liking. How does one peel away the never-ending layers of this blossom AND try to find nourishment somewhere in this pile of leaves you've created in front of you while still looking as fabulous as ever in front of your dinner partner, boss, friend, etc. who seems to know just what to do? ('seems to' are the operative words here). The proper approach to tackling different foods happens to be one of the most popular etiquette questions I get. No one wants to look like they don't know what they are doing, especially when they are trying to impress a date or business associate and that's where good old manners come into the thick. Not so much to impress others but to make YOU feel comfortable, allowing you to let your best self shine instead of worrying about every little thing you might be doing 'wrong'. Artichokes can be served hot or cold but your 'plan of attack', so to speak, always stays the same. 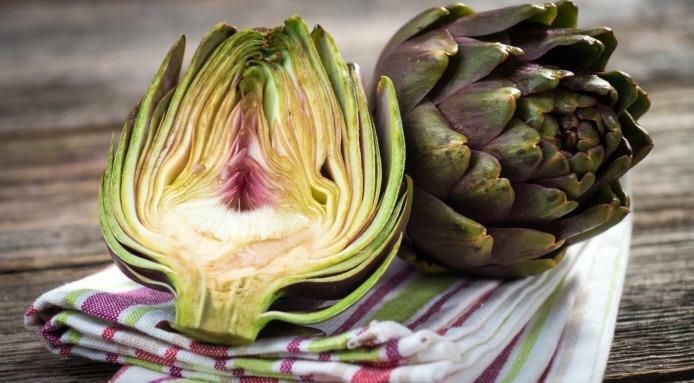 To eat an artichoke, begin by pulling off outer petals one at a time. Dip base of petal into sauce or melted butter, then pull through teeth to remove soft, tender portion of petal. Discard the remaining petal, preferably in a neat pile on the plate in front of you or in an empty bowl provided for this specifically. Remove the choke (fuzzy center) at base by using gentle strokes with a fork until you are down to the heart. The base or heart of the artichoke can be eaten and is often the part that most people savour the most. Cut into bite size pieces and dip into remaining sauce. What foods do you find difficult to eat in public? Want a little more 'Lily' in your life? I love artichokes but always buy them prepared in olive oil etc. I have family in Switzerland and I always remember eating artichokes and dipping the petals in mayo; it was delish. LOVE lobster and ribs but I can't do it either! LOL! It's like I'm begging for an accident!